Rann Utsav (Desert Festival) is a must visit place between November to January in the white desert of Kutch in Gujarat. 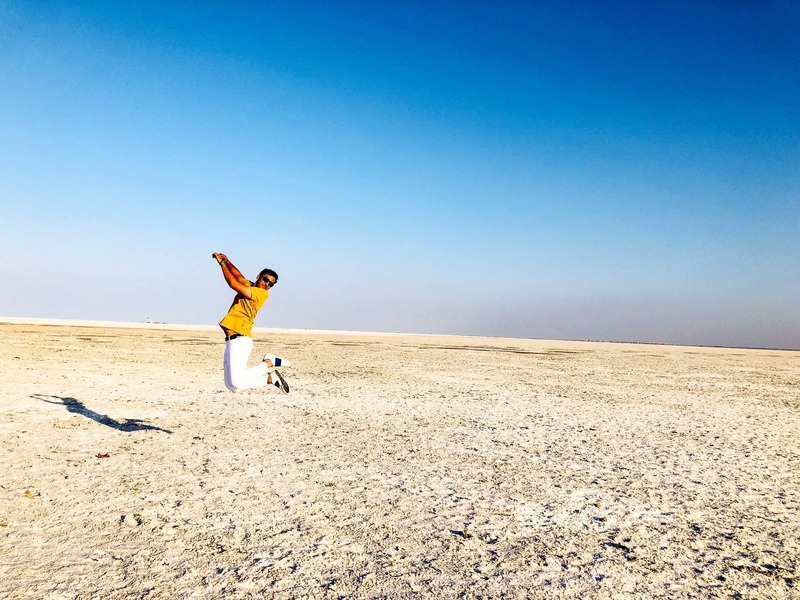 Amidst the breathtaking and divergent landscape, during the full moon night of the winters, the three-month-long festive event - Rann Utsav brims with dynamism, hospitality, vigour and traditional flavour of the splendorous Kutch. The annual event offers the opportunity to visit the expanse of white desert that lies along the India-Pakistan border. The most sought-after time to explore White Rann is during the full moon nights after witnessing the enchanting sunset. Transcending through the plain terrain of the white desert at the sunset hours and watching a full moonlit folk concert offer an unrivalled travel experience. And the camel-cart rides to the white desert add the exciting pursuit to discover nature’s most exclusive creation. Rann Utsav is also the celebration of life that adds colours into the salt-encrusted desert plains. The soul-stirring splendour of nature, calm & serene surrounding, rich Kutchi culture, intricate handicrafts and outdoor activities make this desert carnival a perfect holiday destination. With traditional dance forms and musical moments, many thrilling activities like cultural act shows, camel safari, parasailing and dirt biking enhance different colours of the festivity. Traditional Gujarati food and stay in royal tents make your vacation joyful and unique. You can get the details for booking on Gujarat tourism website. They have the best package and will take care of your all facilities.